This exercise focuses on hip disassociation with a small base of support. To do this exercise you will need a mat. Start by kneeling then lean over to one hand so that you have one knee and one hand supporting you. 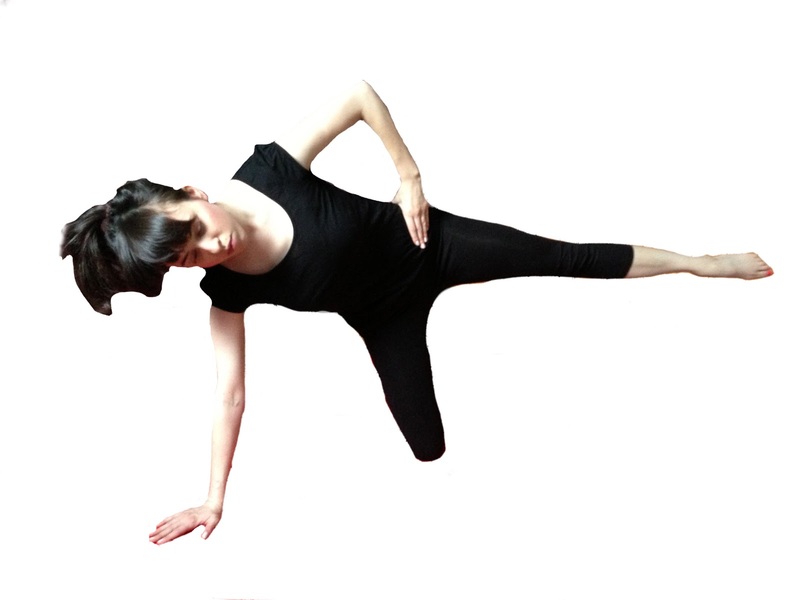 Inhale into the back of the ribs as you let the leg float into the air. Exhale as you press your leg back and then inhale as you kick forward and exhale again as you kick back again. Repeat 8-10 times on each side. Be sure that you keep the hips and ribs in line during this exercise. The hips will want to sit back further than they should. Keep pressing the hip forward as the leg swings. If this exercise hurts your wrist, it is helpful to make a fist for support.